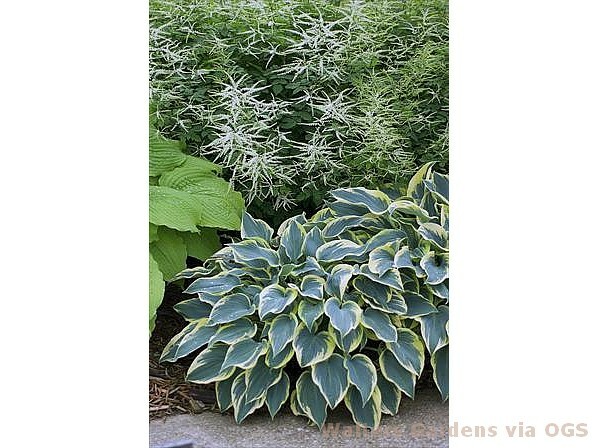 Product Information : Intense blue green leaf centers emerge with a gold margin in early spring then changes to pure white later in the season. Lavender flowers. Mature Size : 16" x 36"